I think I should rename Monday night "Comfort Food Night" as it seems that the past few weeks Monday night has found me baking or cooking up a batch of something warm and comforting. 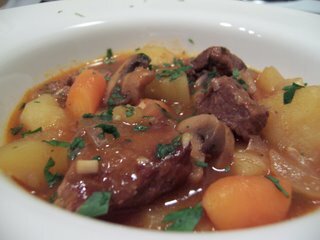 This Monday is no different, I cooked up a huge amount of my version of a rich, warm beef stew. Yay! Leftovers all week, and with stew, that is a good thing. Heat oil in a large stock pot and brown beef on all sides. Add garlic and cornstarch and let cook for 3-4 minutes. 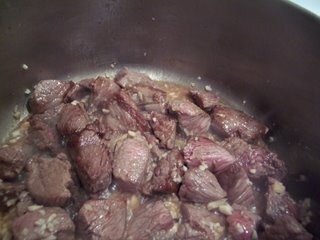 Add beer, broth, tomato paste, Worcestershire sauce, sugar and some salt and pepper to the beef. Bring to a boil, then reduce to a simmer, cover and cook about 45 minutes. 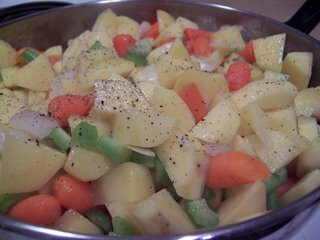 Meanwhile, in another pan, saute all chopped onions, carrots, celery and potatoes just until lightly browning and beginning to soften. 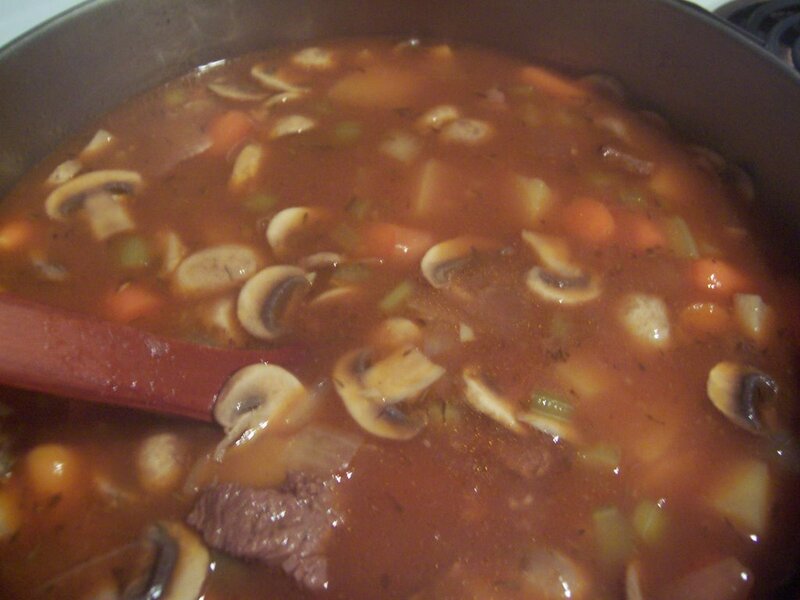 Add vegetables and raw mushroom slices to the beef mixture and stir to combine. Simmer uncovered for about 90 minutes. You'll know it's done when the beef and vegetables are tender and the stew has begun to thicken. Serve immediately or chill uncovered until cool throughout and then keep covered until reheating for service.